Table base for 2 flags, Desktop Table Stand. Round brass base for 2 table flags. This is a beautiful two-places base for displaying your flags. The ideal also for public administrations that can exhibit the tricolor and the flag of the European Union. 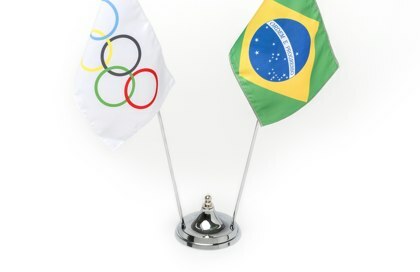 The two-places base is ideal for displaying two flags in an orderly manner. Price Alert "Table base for 2 flags"?